WELCOME HOME to this charming 1.5 Story home on a tree lined street. Polished wood floors grace the main level, with open plan living, dining & kitchen, updated kitchen offers newer cabinets, appliances breakfast bar, tile floor, updated full bath & two bedrooms. Spacious upper level master suite has 2 closets & full bath. Enjoy the finished lower level with family room featuring a fabulous stone fireplace, bonus sleeping area, full bath & storage area with washer/dryer. Outside living area boasts a fantastic brick fireplace & patio, perfect for entertaining. Other updates include privacy fence & gate. 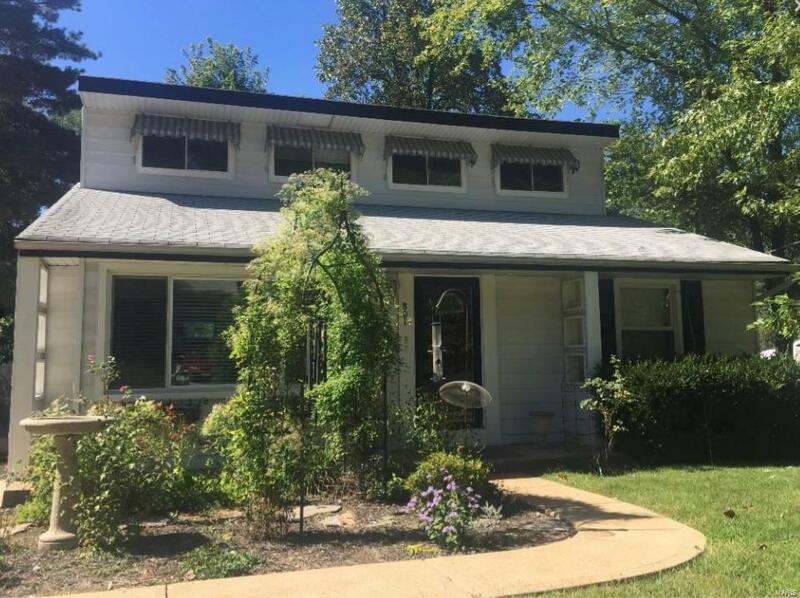 Excellent location, 2 blocks to elementary school, 1 block to Blackburn Park, within a mile to schools, rec center, Webster University, Highway 44. Sidewalks in the entire neighborhood, conveniently located for shopping. Storage shed at the rear of yard can store tools, yard equipment etc. All appliances incl washer/dryer stay with property. Showings start 3/9/2019.MORE PHOTOS TO FOLLOW.